It is past two in the morning and pitch black outside. Ray Ruiz’s GPS connection is flickering as he drives his blue Suburban onto a dark road. Ruiz and his six mentees are packed in his car somewhere in Louisiana or Mississippi — Ruiz isn’t sure at this point. 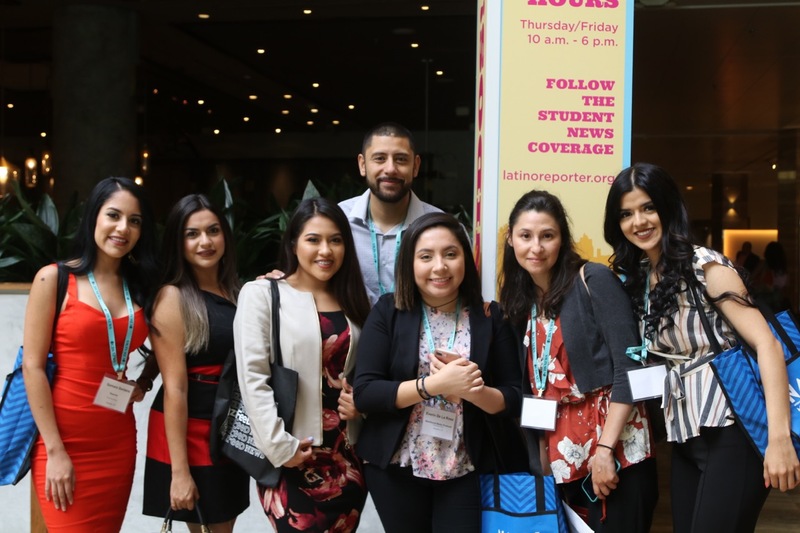 The group left Houston at approximately 9 p.m. on Tuesday and are heading for the National Association of Hispanic Journalists conference in Miami. This was supposed to be a 17-hour road trip, but they’re already behind. With stops at the gas station and Texas road stop institution Buc-ee’s already behind them, they had to pull off I-10 yet again. One of his students had to use the restroom. It’s closed. Now Ruiz can’t find his way back to the highway, so he drives through an isolated country dirt road. Out of nowhere, the windshield is fogging from the humidity. Ruiz’s students are scared. They tell him to turn around. Instead, he pulls over to try to clear the fog off the glass. He gets back in the car and continues to drive, sticking his head out the window to see. “God is in control,” says one of the students. They find their way back to a main road and back onto the freeway. Relief. This isn’t Ruiz’s first conference road trip with students. As president of El Gato Media Network based in Houston, Ruiz mentors aspiring media and communications professionals. He plans these road trips as a way to improve the relationships between students and mentors so they feel more comfortable working together out in the field. For most of the students on the trip, this is their first conference. They come from a variety of backgrounds — some were born in Mexico, and one of the students is undocumented. Ruiz is always cautious about traveling with a group of students — especially a group of Latinos. Anything can happen. A flat tire. A wrong turn. A run-in with immigration agents. The next afternoon, Ruiz spots an SUV with a large large logo plastered on the side at a gas station- Ruiz is unsure what city. In recent trips, Ruiz has had to change his route to bypass border patrol checkpoints while driving undocumented students. Ruiz trailed about 30 minutes behind a friend also traveling from Texas so that he could update Ruiz if there were any stops to be aware of. He remains calm and finishes his purchase at the gas station. He doesn’t say anything. He does not want to alarm his undocumented student or draw attention. When Ruiz walks out of the convenience store, the truck is gone. The group has a rule. The shotgun rider has to stay awake to help guide the driver. Everyone falls asleep and one of the drivers misses the turnpike to Florida. He keeps driving all the way to Jacksonville. The students are frustrated. They thought they would have time to go to the beach. They saw their peers who flew post pictures on social media — having a good time in Miami while they were stuck in the car. After failed navigation, missed exits, and pit stops Ruiz’s crew finally make it to Miami Wednesday night. Seventeen hours had turned to 24.